It has a nice sound to it; it's to honor her brother, Riley; and it's to differentiate her from Ciara Wilson, the pop singer and wife of NFL star Russell Wilson. "We have a small thing in common," Wilson jokes, of her and the superstar singer. Her brother means a lot to her as well, and "I got his permission; I look up to my brother and his qualities and how he carries himself." Wilson's name continues to show up in credits in Hollywood. She'll play a role in the Disney Channel movie "Kim Possible," based on an animated cartoon series, which airs Friday, Feb. 15. This after playing Vicki "Hot Head" Fuego in the Disney TV comedy "Bizaardvark," as well as roles in Disney Junior's "It's a Snackdown," DreamWorksTV's "OMG!," ABC's "Speechless" and Nickelodeon's "Henry Danger" — and in music videos by the likes of Chris Brown and Usher. Her parents, Jay and Nanette Wilson, moved with their kids to Los Angeles six years ago, although the family maintains a home in Portland. Her brother goes to UCLA, and Ciara, 17, has been making inroads as an actress and dancer in the capital of acting and dancing. "It definitely was a career move," she says of moving to L.A. "Growing up I always wanted to be a performer, and I've been watching Disney Channel. It's always been in my blood. I've done radio voiceovers and commercials, theater and acting camps, and I've decided this is something I wanted to do for the rest of my life. My parents helped me take steps working toward it." She's also an accomplished dancer, after having been part of Elite Dance Studio in Northwest Portland. Dancing is her first love, Wilson says. "Kim Possible," in which she plays Kim Possible's friend and "superfan" Athena, could be her breakthrough. 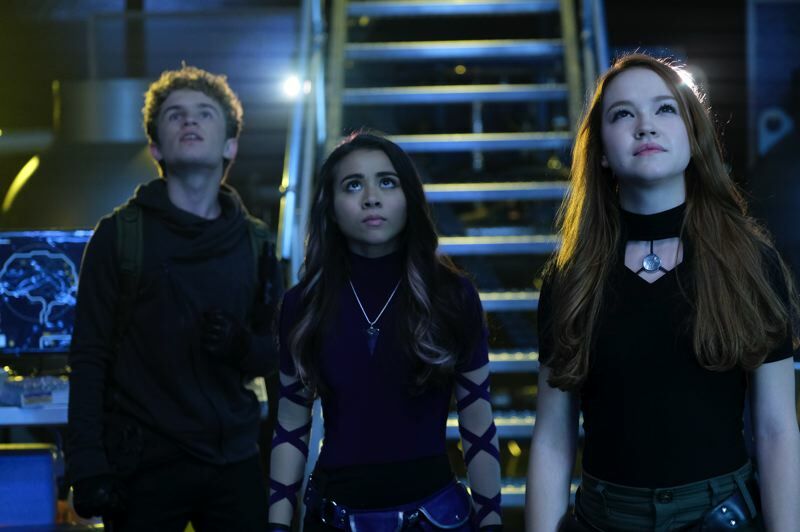 The plot follows teen hero Kim Possible and her best friend and sidekick Ron Stoppable as they embark on their freshman year of high school, all while saving the world from evil villains with the help of friends such as Athena. "It's a fun character for me, a new character not in the original cartoon series. It's exciting for me to bring (her) into the world. It's the most complex character I've ever played; and I got to do stunt work, which is interesting." Being a teenager living in Los Angeles, taking high school classes online and working on a Disney Channel movie feels pretty normal to her. "I definitely have experiences that come with normal high school," she says. "I have a group of friends my own age on set. We have real teenage experiences, learning different things." But not all teenagers get to be on television and the Disney Channel. Wilson has a busy 2019, she says. "I have a couple things coming out," she says. "I'm a recurring guest star on (Disney Channel's) 'Coop and Cami Ask the World,' and I get to dance on that show. It's exciting to blend those two aspects of my life. And, I'm a guest star in (TV series) 'L.A. 's Finest,' a new cop show with Jessica Alba and Gabrielle Union on Spectrum. "It's exciting for me to branch out and do a movie. This is a turning point in my life, especially at age 17. I'm blessed to work in a career at a young age and have a good grasp of it moving forward. I've solidified the tools I need to pursue the rest of my life."